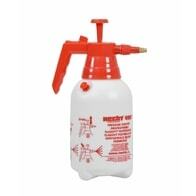 Manual hand sprayerwith tank volume of 0,9 litres. Manual piston powered hand sprayer with tank volume of 2 litres, working volume 1,5 litres. Equipped with relief valve. Manual piston powered knapsack sprayer with tank volume of 5 litres and maximal pressure 3 bar. Equipped with adjustable spraying jet and release lock. 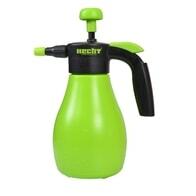 Manual piston powered knapsack sprayer with tank volume 8 litres and maximal pressure 3 bar. Equipped with adjustable spraying jet and release lock. Manual piston powered knapsack sprayer with tank volume of 5 litres and maximal pressure 3 bar. Equipped with manometer, adjustable spraying jet and release lock. 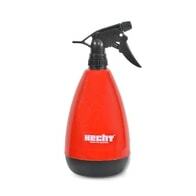 Accu knapsack sprayer. Tank volume 10 l Operating time per charge 160 min. 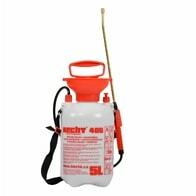 Accu powered knapsack sprayer with 16 l tank and maximal pressure 0,55 MPa. A powerful backpack sprayer-duster that easily converts applications from liquid to granular. Can be quickly converted to a powerful leaf blower for fast cleanup of debris. Includes granules applicator. A powerful backpack sprayer-duster that easily converts applications from liquid to granular. Can be quickly converted to a powerful leaf blower for fast cleanup of debris. Includes granules applicator. With auxiliary pump.